30″ X 48″ Gallery depth (1 1/2″) X 1 1/8″ wide stretcher frame kit. 36" X 36" Gallery depth (1 1/2") X 1 1/8" wide stretcher frame kit. 36" X 48" Gallery depth (1 1/2") X 1 1/8" wide stretcher frame kit. 48" X 48" Gallery depth (1 1/2") X 1 1/8" wide stretcher frame kit. 24" X 24" Gallery depth (1 1/2") X 1 1/8" wide stretcher frame kit. 24" X 60" Gallery depth (1 1/2") X 1 1/8" wide stretcher frame kit. 24" X 72" Gallery depth (1 1/2") X 1 1/8" wide stretcher frame kit. 30" X 30" Gallery depth (1 1/2") X 1 1/8" wide stretcher frame kit. 30" X 60" Gallery depth (1 1/2") X 1 1/8" wide stretcher frame kit. 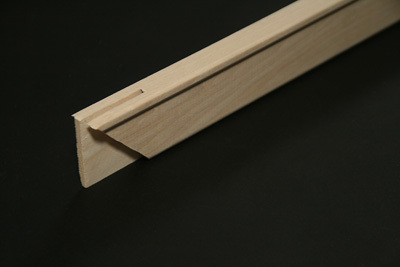 18" X 24" Gallery depth (1 1/2") X 1 1/8" wide stretcher frame kit.